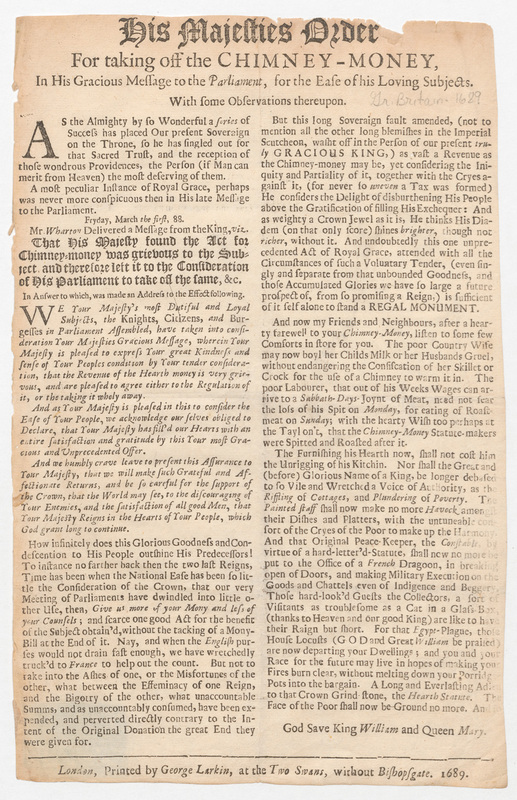 A broadside is a single-sheet notice or advertisement, often textual rather than pictorial. 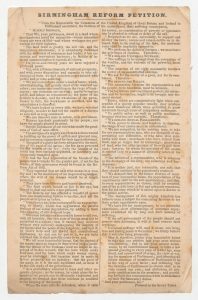 The historical type of broadsides called ephemera (the Latin word, inherited from Greek, referred to things that do not last long) are temporary documents created for a specific purpose and intended to be thrown away. 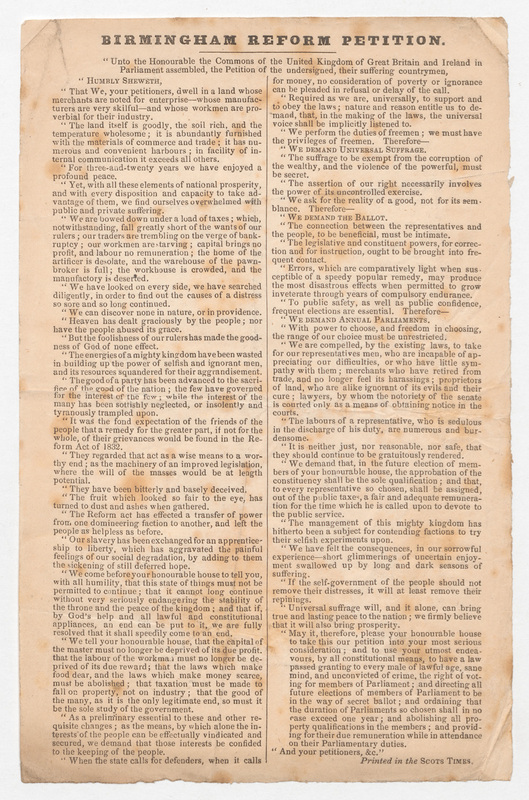 The Broadsides and Ephemera Collection (David M. Rubenstein Rare Book & Manuscript Library, Duke University) captures written and printed materials of widespread and short-lived use; items, such as event announcements, letters, tickets, posters, social notices, or printouts on current political affairs whose impact was not meant to sustain the test of time. These are the materials that I want to bring to your attention. The collection includes items from more than 28 countries. The material is quite heterogeneous in terms of content and historical periods. From the Viceroyalty of Peru, to the tensions between Japanese and American soldiers in the early 1940s in the Philippines, one feels a bit like a time traveler without much of a compass, navigating across a sea of material of daunting complexity. After the first scroll through the many rows and tabs in the collection’s Excel sheet, I began questioning, amidst gallons of coffee, the romantic view of the cataloging librarian as a detective of knowledge long lost. Voltaire’s words at the beginning of The Age of Louis XIV regained strength: “Not everything that is done deserves recording”. Yet, as I delved deeper into the collection, I quickly discovered that Ephemera provides a unique window to understand much about the working of human communities all over the world. 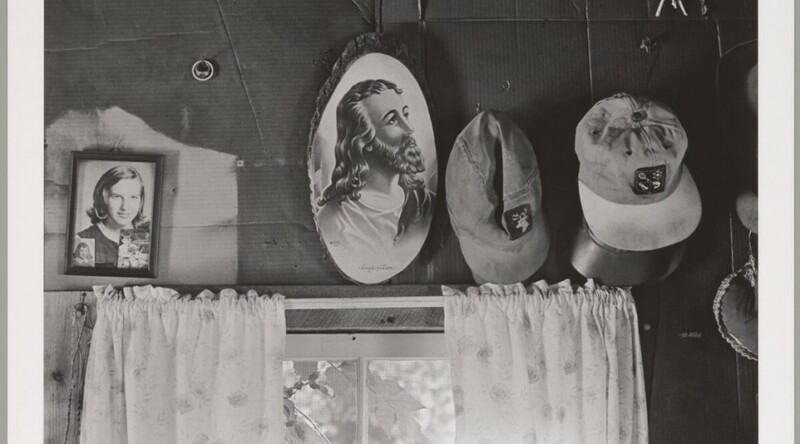 In fact, the range of common themes emerging is sort of striking given its geographical and temporal scope. It is actually fun. 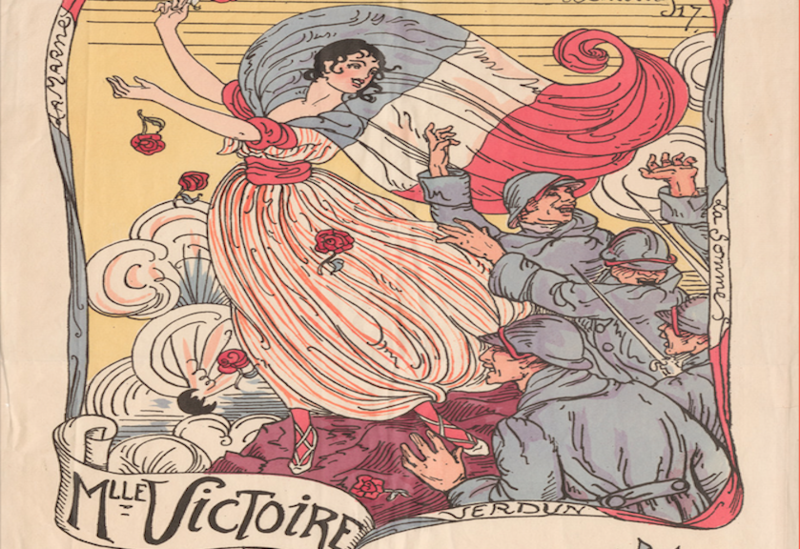 Let me focus on three themes that consistently emerge across the different sections of the international broadsides. 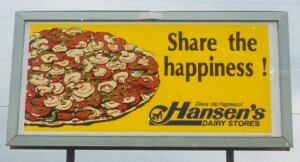 Ephemera work first as a record of the basic organization of social communities. In these instances art becomes a tool to highlight key moments in the everyday life of very diverse communities. 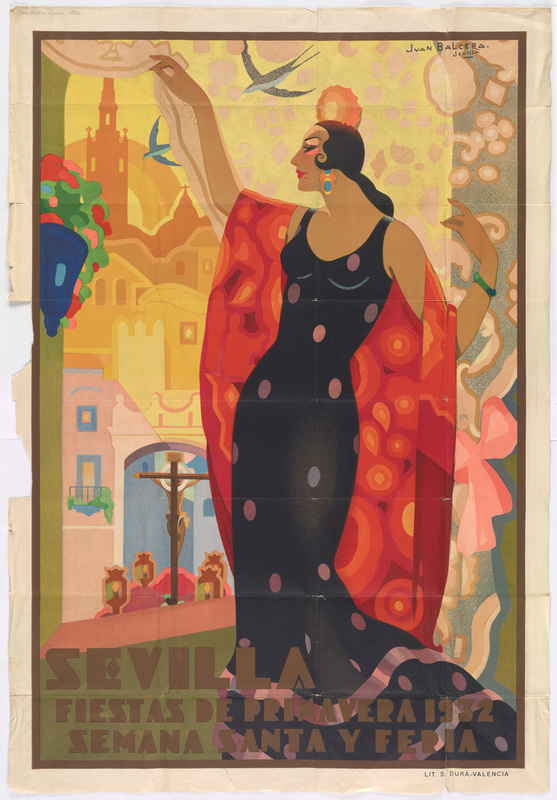 The contrast between the 1932 poster for the “Feria de Abril” in Seville, Spain and the 1946 University of Oxford’s Almanac is very telling in this regard. The former serves to mark the most important week in any given year in Seville’s life: around Easter, the city turns into a mixture of art, devotion, and excess in a perfectly balanced and stratified way (different sectors, businesses and social classes get together to party at night after taking part in the parades or processions thanking and honoring the patrons/matrons of the different churches in the city). 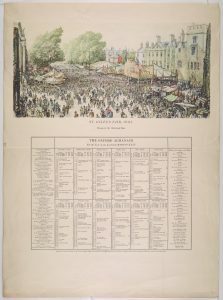 The Almanac provides a list of the head of colleges and the university calendar, making public the key milestones in the life of the university. While the purpose and activities highlighted by these two items could not be more different, their basic function is the same. Both convey useful knowledge about the life of two cities driven by very different pursuits. I know where I would rather study, but it is also quite clear where one ought to go to have some real fun. 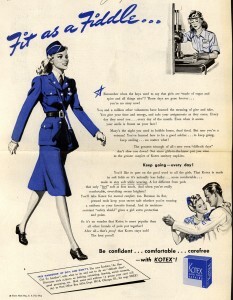 Order for taking off the Chimney-Money. 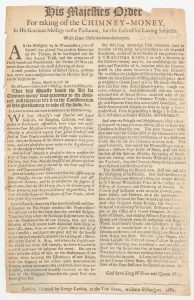 In this document is addressed the suppression by the king of the hearth tax in England, and the reaction of the citizens, very grateful of have being liberated from this onerous duty. 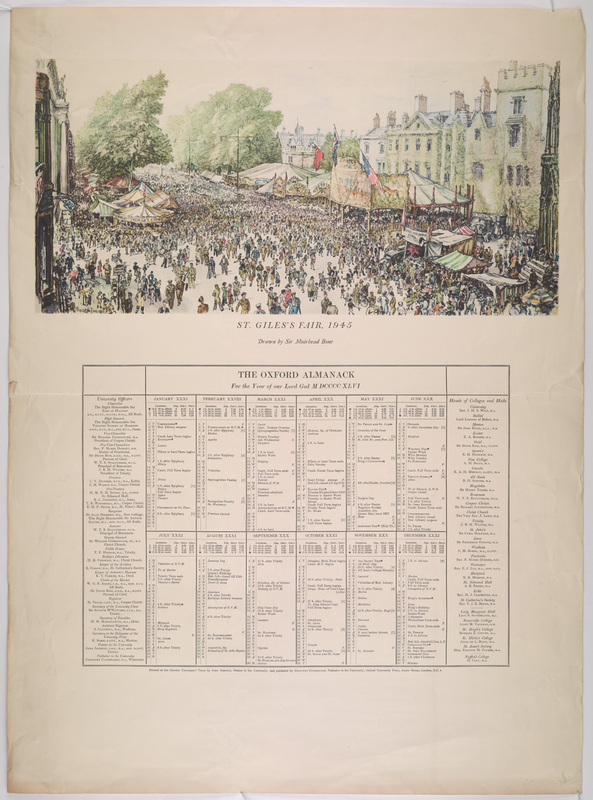 A second function of the sort of items included in the international broadsides is to offer a glimpse of political and social relations in many different places. The records on England, for instance, include a letter from subjects to the new King, William of Orange, thanking him for the removal of a the “hearth tax” in 1689, or a piece capturing neatly the scope and goals of the chartist movement in their quest for universal male suffrage, the secret ballot, and annual Parliament elections among other things. Birmingham Reform petition, part of a working-class movement for political reform in Britain, called Chartism. The contrast between these two documents (William of Orange order for taking off the Chimney-Money, and the Birmingham Reform Petition) captures nicely the road traveled in England from the Glorious Revolution at the end of the 17th century, to the forefront of economic and political modernization in the 19th century, when the Chartism took place. On a grimmer note, the records on Germany capture effectively the rise of the National Socialist German Workers’ Party (commonly referred to in English as the Nazi Party) in the interwar period in cities like Heidelberg, and the consequences that ensued in terms of mass casualties for ones or exile for others. 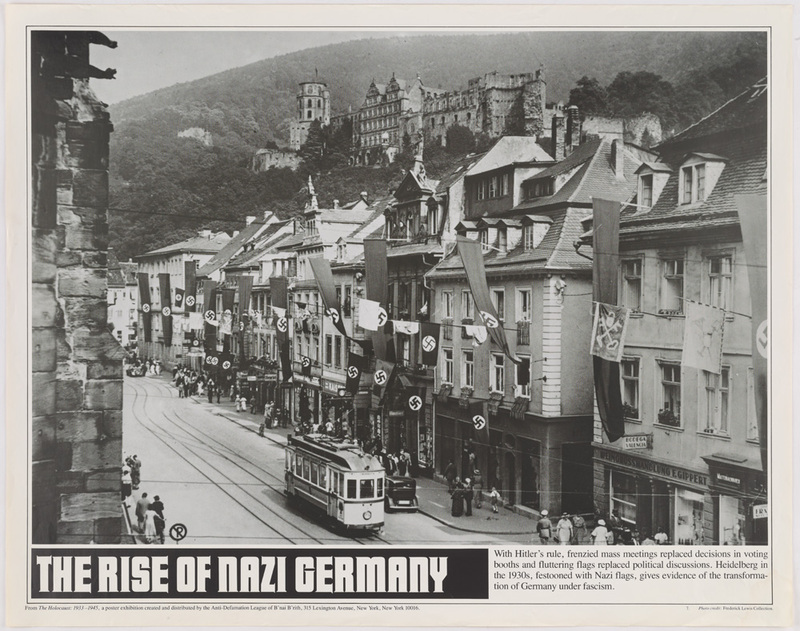 Heidelberg in 1930, festooned with Nazi flags, giving evidence of the transformation of Germany under fascism. 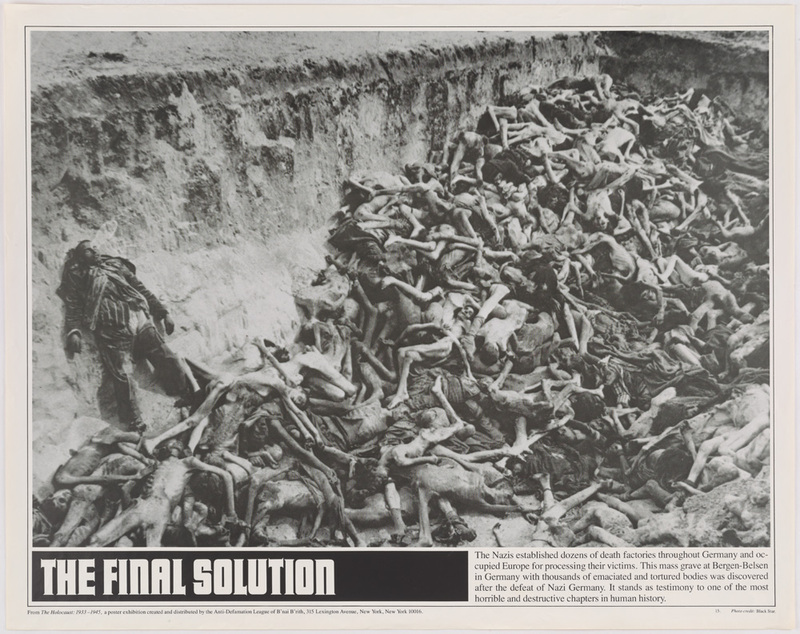 Photograph of a mass grave at Bergen-Belsen concentration camp in Germany with thousand of emanciated and tortured bodies. To live again! 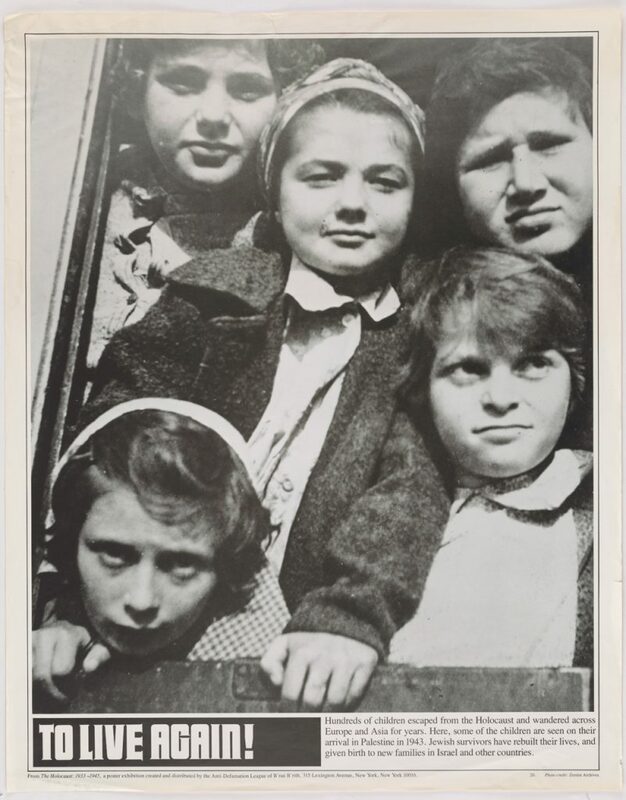 Photograph of Jewish children, survivors, arriving to Palestine. But the richest and most comprehensive theme that gives coherence to the records across different countries is the one of war and political persuasion/propaganda. 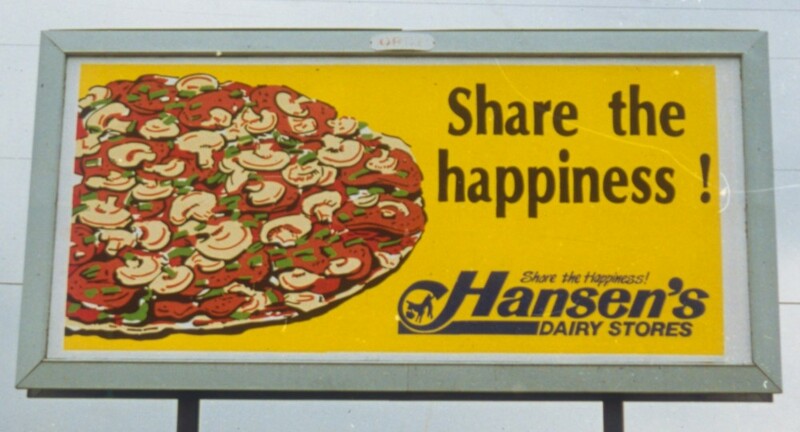 Persuasion comes in very different forms. It can be intellectually driven and directed to small circles: the English records feature letters from American activists to English political philosophers such as John Stuart Mill in a quest for support for the anti-slavery movement. Or it can be emotionally driven and directed to broad populations. 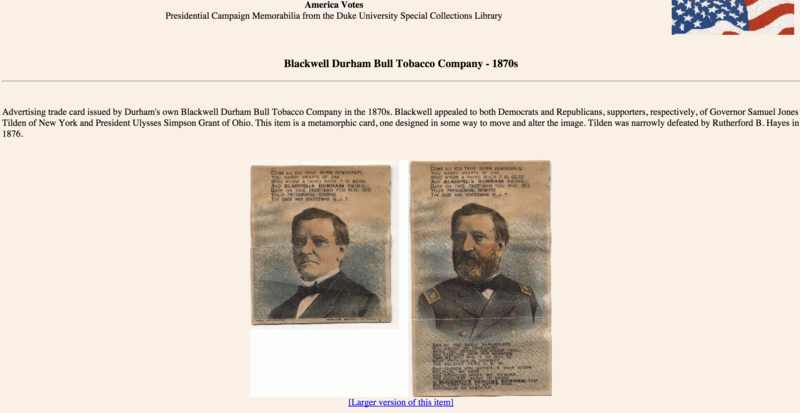 It is in this particular variety of ephemera where Duke’s International Broadsides Collection really shines. Difendilo! (Defend it!) 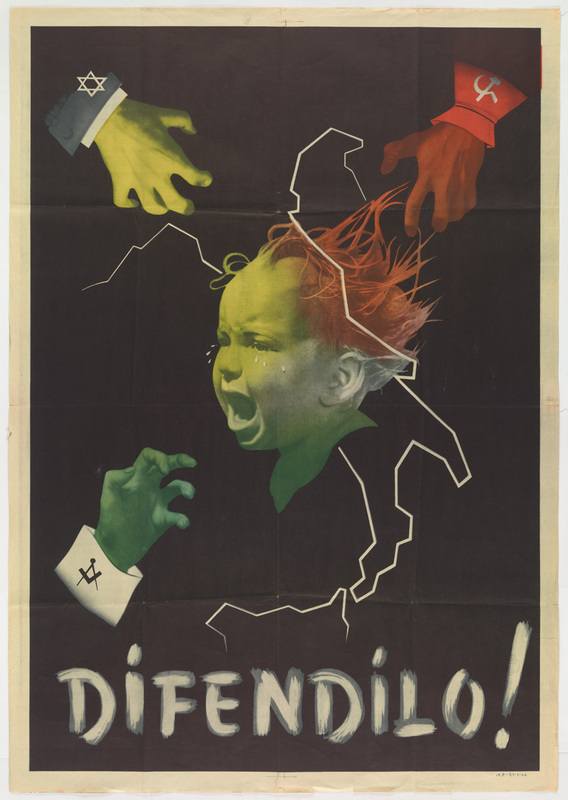 Fascist propaganda poster, alludes at the need to protect the Italian children from the dangers of Communism, Judaism and Freemasonry. 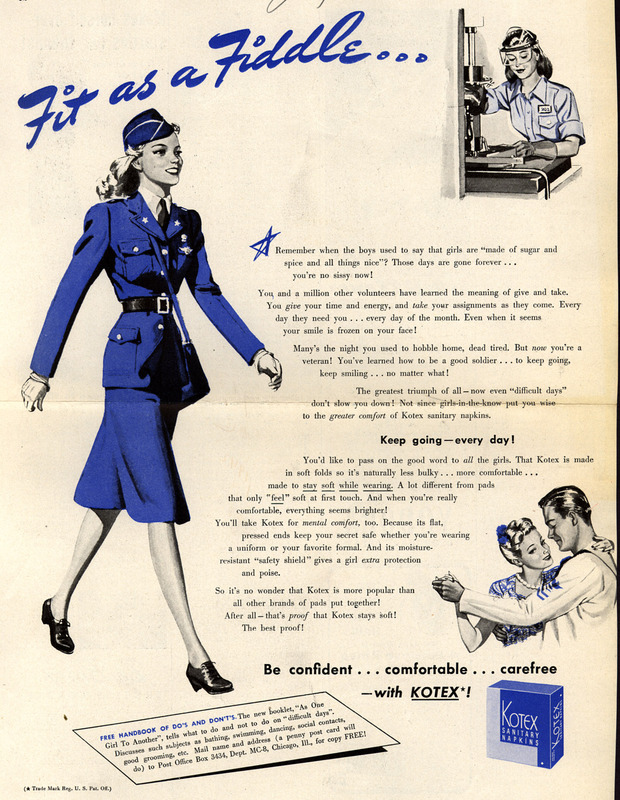 The records contain dozens of art manifestations from pro-Axis actors in Italy, Germany, and Japan, as well as efforts from the British and U.S. armies to undermine the morale and support of Japanese troops in the Philippines after 1945. 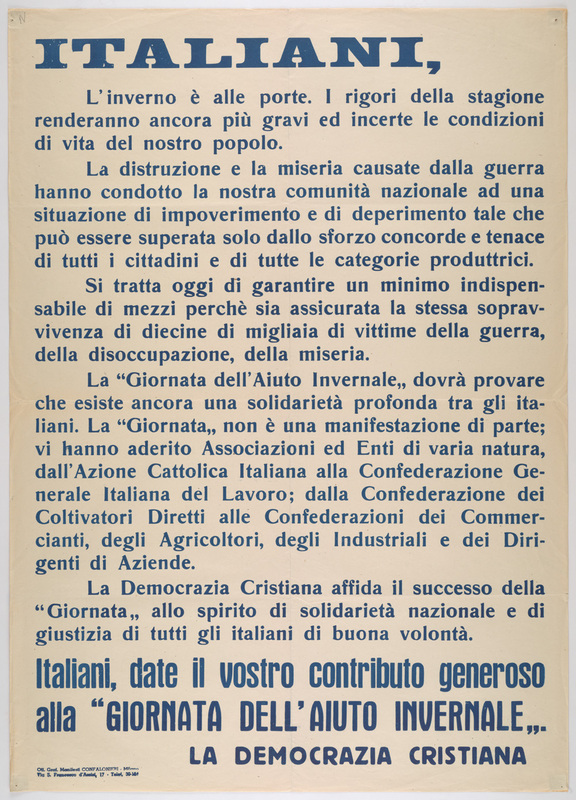 Among the former, who knew that the motto of House Stark in Game of Thrones (Winter is coming) was to be found in a piece of political propaganda from Italian fascists against the Allies? 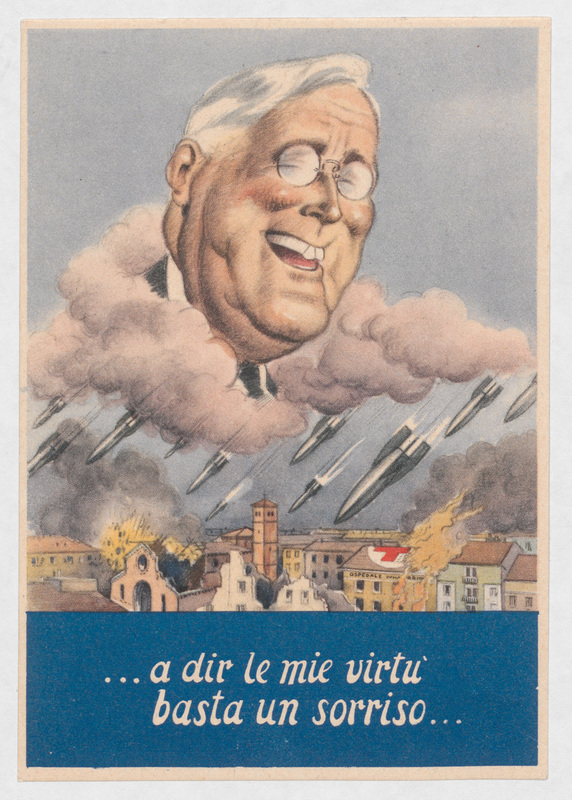 Or that Franklin Delano Roosevelt’s virtuous smile was wider the more missiles fell on the Italian cities? 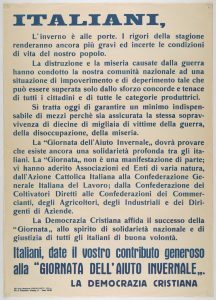 Or that the good children of Italy were at risk of being pulled apart by the three evils of Communism, Judaism and Freemasonry? 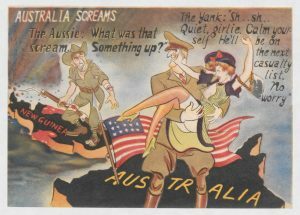 Or that the Australian soldiers would do better to return home to protect their women from the American soldiers’ predatory behavior? Australia screams. Japanese anti-American leaflet trying to persuade the Australians to go home because the American soldiers staged in Australia were seducing their wives. Finally, another good example is this tricky Japanese leaflet. 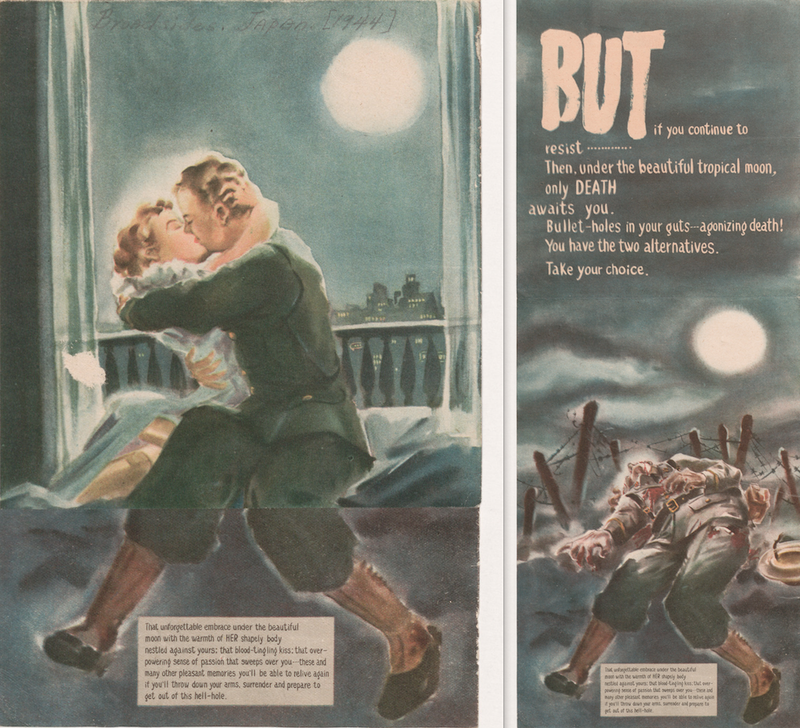 At first, it appears to show just an soldier and his wife embracing under the beautiful moon, but when it is unfolded, although we can still see the soldier’s undamaged legs, we see that he is dead on the battlefield near a barbed wire. 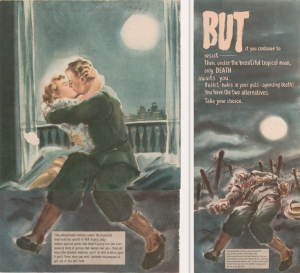 This Japanese war propaganda leaflet shows a soldier and his wife embracing under the beautiful moon… ….but when the leaflet is unfolded, you still see the soldier’s undamaged legs, however he is dead on the battlefield near a barbed wire. 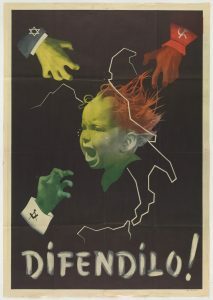 Regardless of their goals, values, and motives, and our views about them, it is remarkable to observe how all parties involved use popular forms of art and imagery to appeal to their constituencies’ worst fears and prejudices about the other and to present themselves as the more humane side. As you can see there is much to learn and enjoy by delving in collections such as the international broadsides. 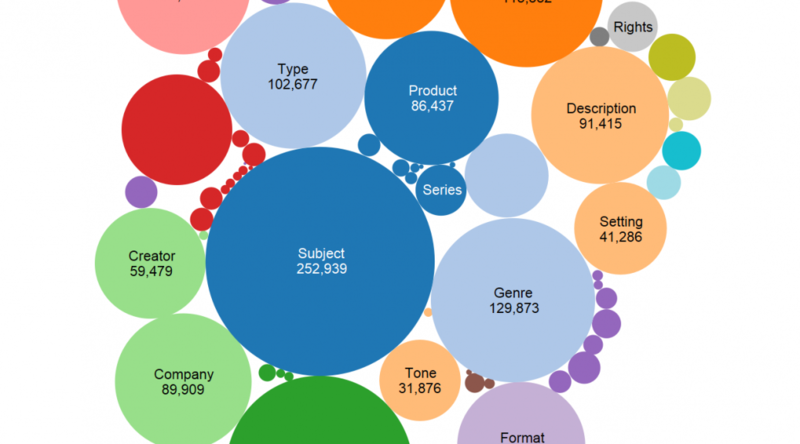 Along the process, the metadata librarian confronts an important trade-off between efficiency and usefulness, between speed in processing and detail in the amount of information provided for the prospective user. 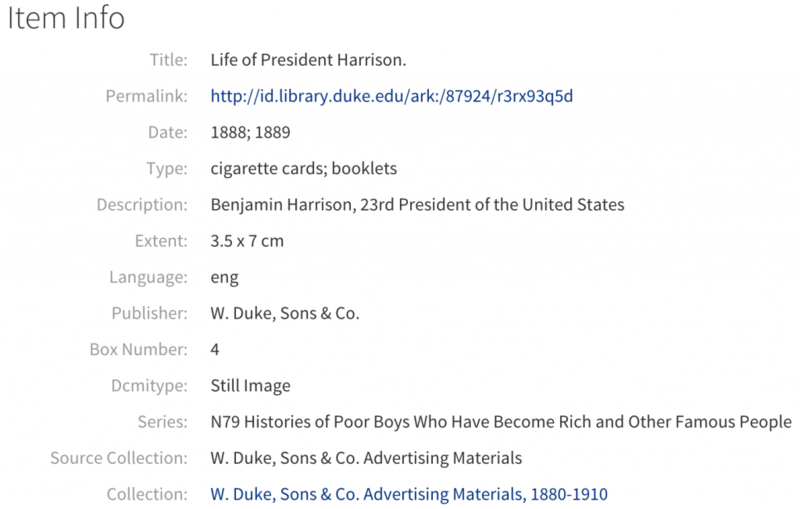 If we want the collection to be useful for students and scholars, it is necessary to provide a minimum of contextual information for them to be able to locate each item and make the best of it. Yet in many instances this proves a challenging task, one that may well require hours, if not days, of digging into every possible angle that may prove helpful. At the extreme, this is bound to pose too much of a burden in terms of processing time. At this point, I do not have a magic formula to balance this trade-off but I tend to lean on the side of providing as much detail as required for a proper understanding of each piece. Otherwise, the digitally processed item will fail to meet Voltaire’s criteria for what deserves to be recorded. A record in a vacuum, whether in bites or ink, hardly allows users to appreciate those “little things” that, as Conan Doyle’s axiom has it, “are infinitely the most important”. 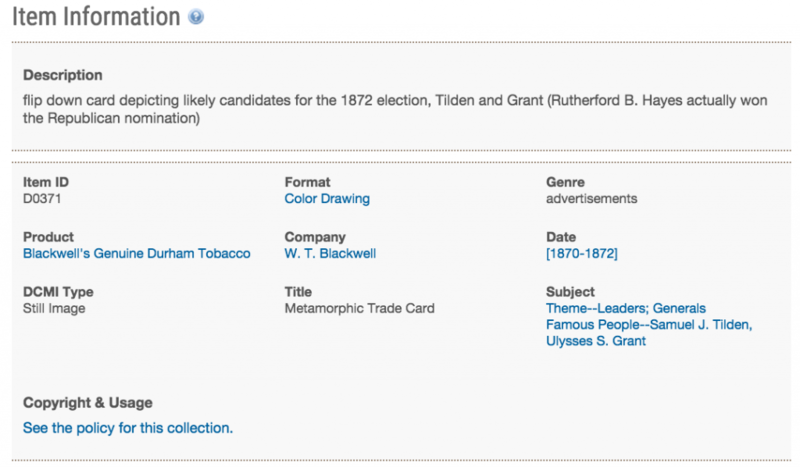 Now, I know last week’s Bitstreams post about metadata and date encoding left you wanting to know more about Duke Digital Collections date metadata, the Extended Date Time Format, and how we are planning to apply it. Well, don’t you worry – I’m going to talk about it now in scintillating detail. 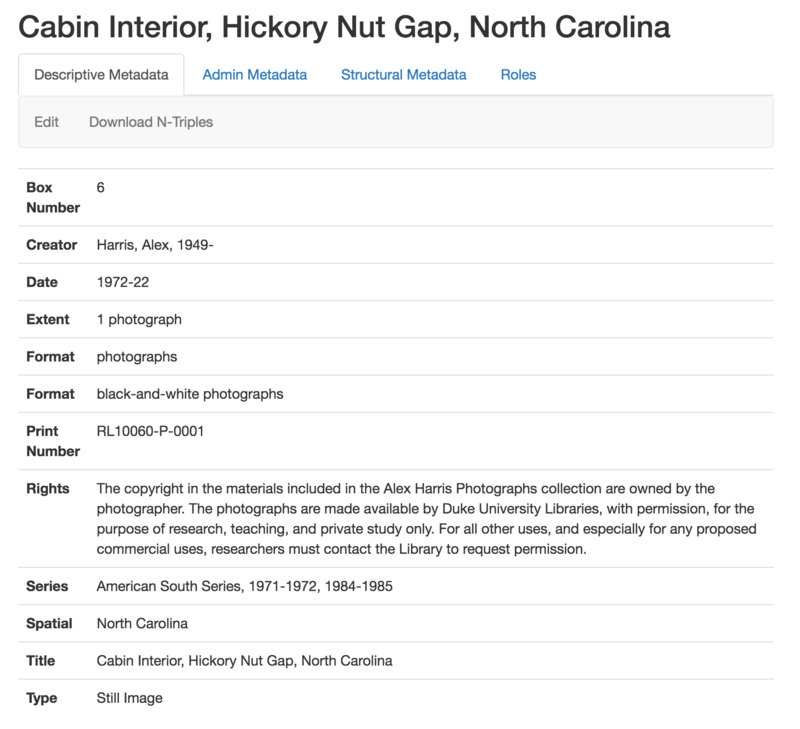 As Cory talked about last week, we have a lot of inconsistent, “squishy” date metadata in use in our digital collections, squishy both in terms of what those dates mean and how they are represented. 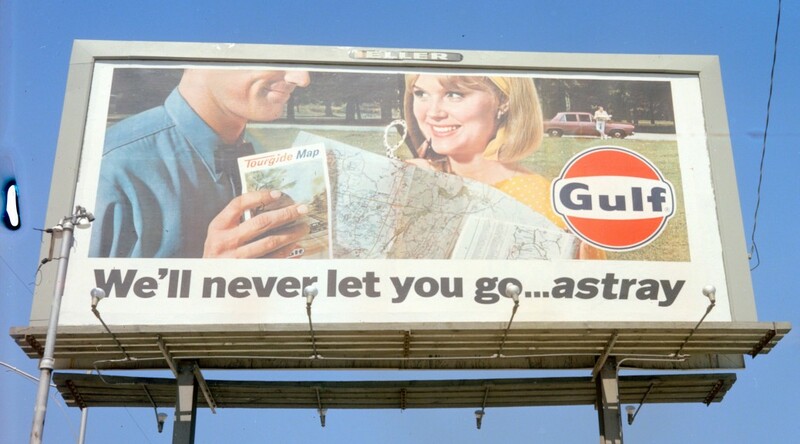 This is a problem when you want to do fun stuff with your dates, like create facets and visualizations, or, um, retrieve reliably comprehensive search results when looking for everything from a time period. So we’re beginning the process of normalizing all of that data, but as we’re talking about special collections materials, date squishiness is not an uncommon occurrence, it is inherent to the materials, and we need to be able to represent it programmatically. yyyy Mon. dd? yyyy-mm-dd? January 1, 1910? yyyy Mon.? yyyy-mm? 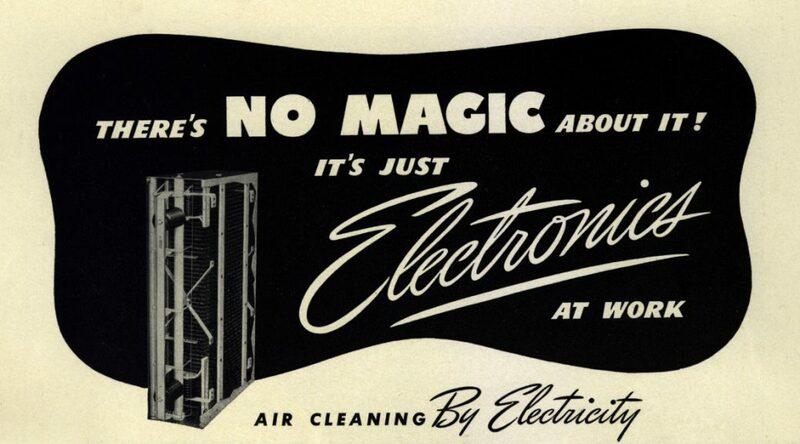 January 1910? [yyyy/yyyy?] yyyy?/yyyy? 1910 to 1913? As you can see above, the specification accommodated most of the patterns we identified, but when we tried to encode more nuanced dates, we discovered that couldn’t quite take the encoding as far as we wanted. But this approach isn’t ideal, as it is inconsistent with our other usage of the format and isn’t technically ‘correct’, either. Happily, the EDTF specification is open for modification and proposals for modifications are still being taken. A quick glance at the listserv archives indicates that we’re not the only people trying to encode this kind of squishiness. 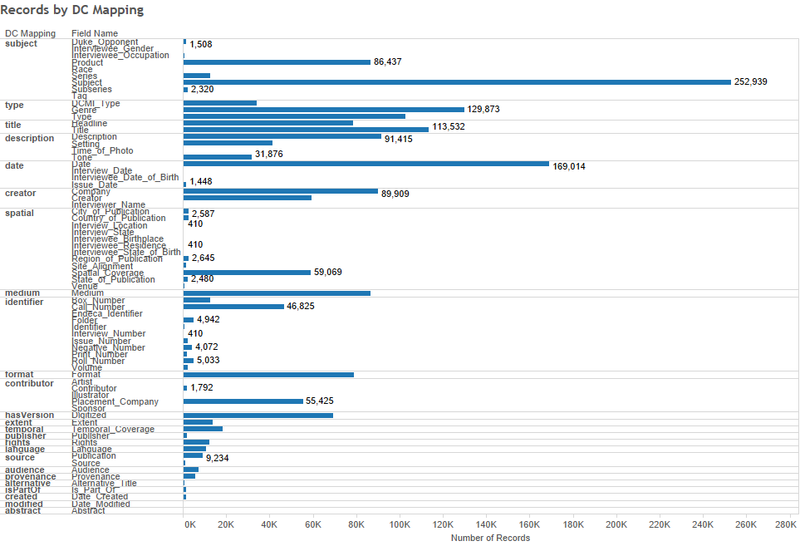 In the meantime, we can keep ourselves busy with cleaning up, normalizing, and converting the great bulk of our date metadata, as well as dealing with those 178 outliers individually. We still feel good about using EDTF – it’s a LOT better than our current date situation, and has some good room for improvement, as well. Pretty solid for a first date, I’d say. Dates are fascinating. They mark time. They’re based, imperfectly, on the pattern of the Earth’s planetary motion. (A year is a little bit longer than 365 days, so our calendar system adds leap years to compensate. Still, it’s off somewhat over thousands of years.) 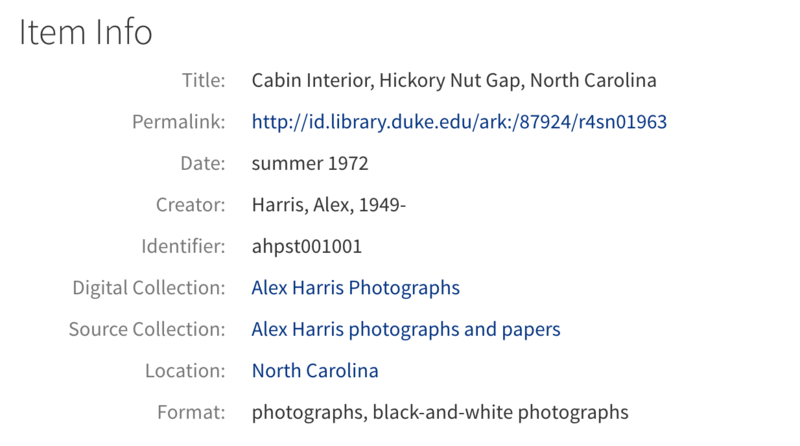 For digital collections it’s important to know when the original item was created or published, so we record date information in our metadata. But our date metadata has a problem. It’s not consistent. The dates are generally human readable, but equivalent dates are formatted variously (10/4/2015 vs. Oct. 4, 2015 vs. 2015-10-4) and there are different levels of precision (1920s vs. June 1981 vs Spring 1972), and degrees of certainty about the accuracy of the date (circa 1931). While a person would generally be able to interpret what these dates mean, computers need a lot of instructions to do much of anything but display them. In their current form our date metadata is not consistently formatted or readily machine readable. 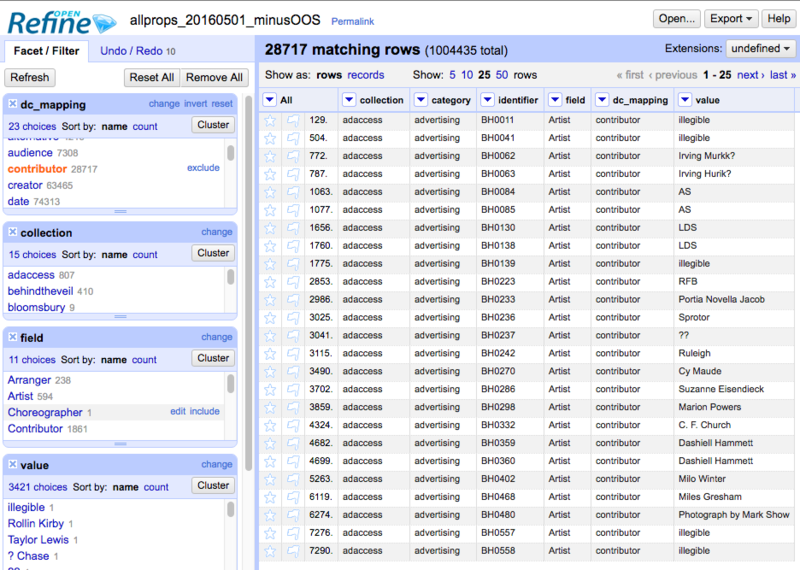 To fix this, we’re going to clean up our date metadata with a few goals in mind. 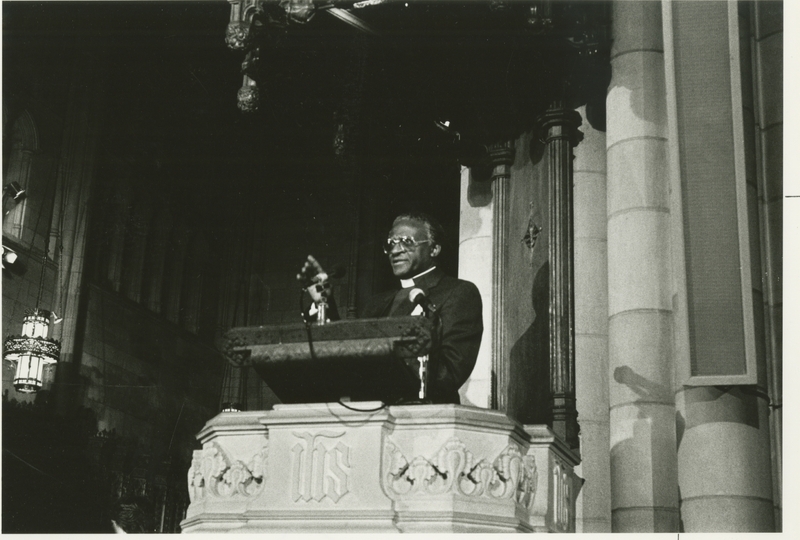 We want dates to be searchable — if someone searches for ‘1957’ it would be great if the results included everything in our collection from that year. 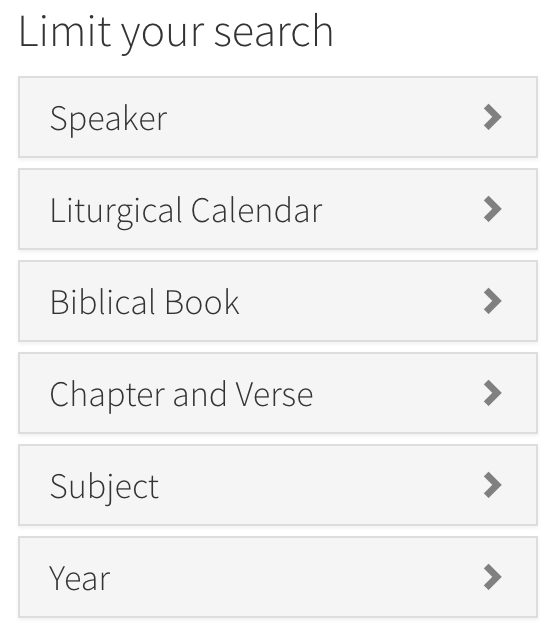 We also want to be able to: sort search results by date; provide a way to browse our collections by year; and display dates in human readable formats. 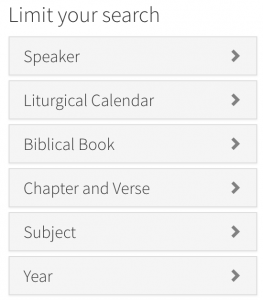 To meet these goals we aim to transform our date metadata into a consistent, standard, and machine readable format across our digital collections. Thankfully, there is an international standard for encoding dates, ISO 8601. In brief, ISO 8601 defines a standard way of representing dates and times. Better yet, the standard is implemented by the date and time libraries of many programming languages making ISO 8601 readily machine readable. At first glance, ISO 8601 seems like the obvious answer to encoding our date metadata, since it specifies a standard way of encoding dates of various level of precision — year (1975), month (1975-07) or day precision (1975-07-01). Let’s see what Ruby (the programming language we’re using to develop our new digital collections platform) can do with ISO 8601 formatted date strings. => "Tuesday, July 1, 1975"
So that’s nice. But there’s a problem. 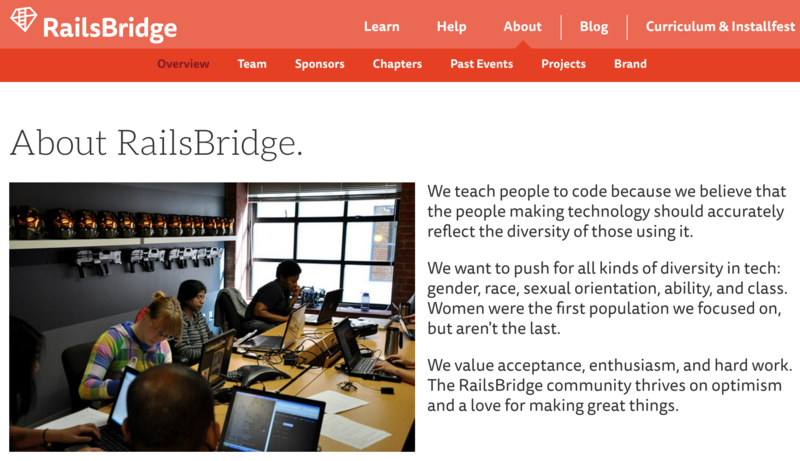 Ruby’s implementation of ISO 8601 is limited. It only handles dates with day precision (1975-07-01) and doesn’t know what to do with dates with only month or year precision. For many items in our the collection the precise date is unknown, but an approximate date can be assigned — e.g. “circa 1981.” In other cases we may at best be able provide decade or century levels of precision — “1920s,” “1900s,” etc. 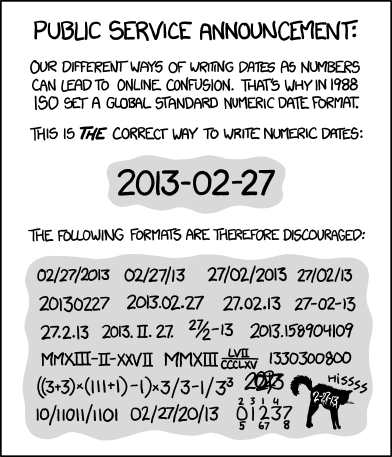 ISO 8601 doesn’t provide a way to express these more ambiguous dates. Extended Date Time Format (EDTF) to the rescue! EDTF is a draft specification of an extension to the ISO 8601 date standard to address some of the limitations of ISO 8601 and to provide a standard way to encode machine readable dates in ways that are useful to cultural heritage institutions. You can read the full draft on the Library of Congress website. EDTF adds to ISO 8601 several different ways of specifying dates. A few that are important for our date metadata are shown in the table below. Even though EDTF is still a draft standard, we’ve decided to use it as the encoding format for our date metadata for digital collections because it will allow us to express a wide range of date information in a machine readable format. By transforming our date metadata to EDTF and making use of the edtf-ruby gem to parse EDTF encoded date strings, we’ll be able to make our date metadata work harder — to provide sorting of results by date, searching, browsing and more flexible and consistent human readable display formats.